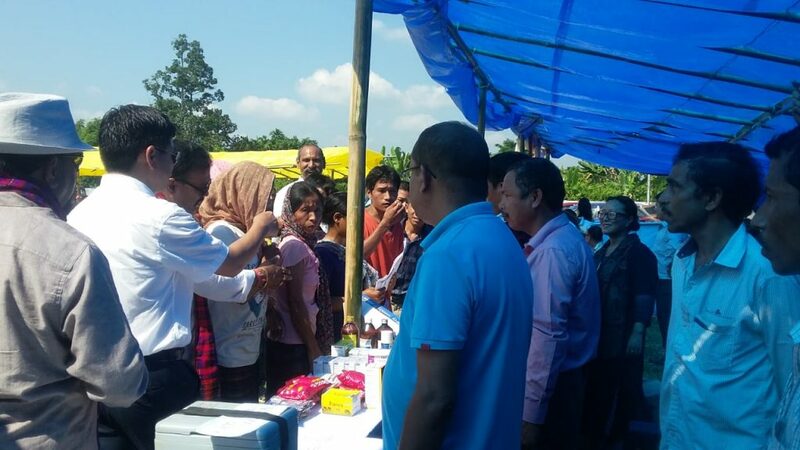 Changlang, September 29, 2018: The Chnaglang district Administration in collaboration with all Departments of the district successfully conducted its 5th phase of the ‘Sarkar Aapke Dwar’’ Program at Kantang Circle for door step delivery of Government Services to thousands of local residents of the Circle. 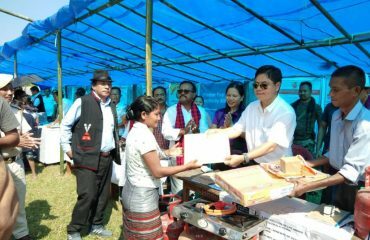 The event kick started with distribution of Free LPG Gas cylinders and cards to nineteen women under Ujjala Scheme and handing over of around 250 numbers of important certificates like Scheduled Tribe, Permanent Residential Certificate, Income and Birth Certificates under Jan Suvidha by the local MLA Shri Phosum Khimhun 52-Changlang South Assembly Constituency. 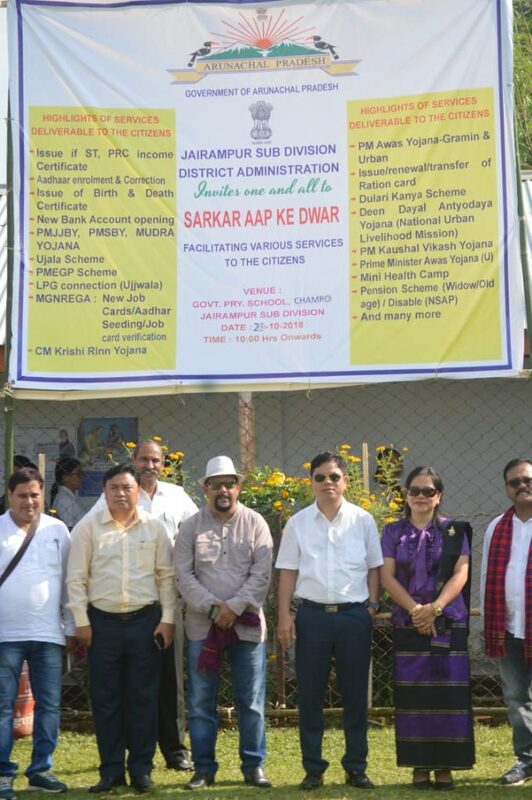 Speaking on the Occassion the Local MLA Phosum Khimhun & Deputy Commissioner Changlang Shri R K Sharma deliberated on the list of services and benefits that would be available on spot to the Public in the Camps under the umbrella of ‘Sarkar Aapke Dwaar’ and urged the local populace to come forward and seize the golden opportunity of the event so that the ultimate objective of Doorstep Delivery of Public Services to the people is achieved. 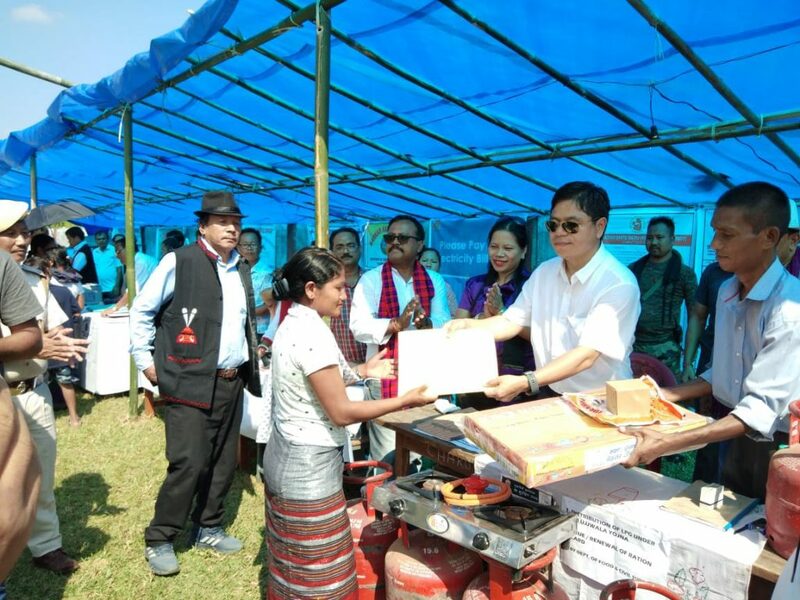 The Deputy Commissioner announced that the District Administration would be conducting around 26 numbers of such camps in various Circles of the District and if necessitated such camps would be repeated to benefit the Public. 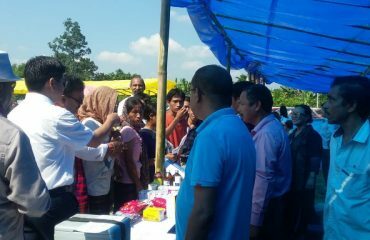 Hundreds of people benefitted from the Services provided by all Departments like Health Camps providing Eye Screening tests, Blood grouping, screening of Nicotine, Ante natal & Dental Check-up and enrolment under the flagship programmes ‘Chief Ministers Aarogya Arunchal Yojana’ health insurance scheme, Opening of ‘Jan Dhan Yojana’ (Zero Balance) accounts, Inurance Schemes like PMJJY & PMSBY by State Bank Of India, Apex Bank, Aadhaar Camps, Enrolment and distribution of Old Age Pension, Widow Pension and PMMVY by ICDS Department, Veterinary Department, Distribution of leaflets & pamphlets on Aquaculture, fish health, pond Management by fisheries, distribution of HORTNET, winter seeds and farming tools, ‘Krishi Rinn Yojana’ Loan processing by Agriculture & Horticulture Department, Weavers Loan by Textiles Department, VVPAT Demonstration for Voters, Disaster Management Awareness, Distribution of LED Bulbs & Fans under ‘Ujjwala Scheme’ by APEDA, ‘Krishi Rinn Yojana’ Forms, ‘Saubhagya Scheme’ and on spot electricity bill payment by Electrical department were the other highlights of the Program. 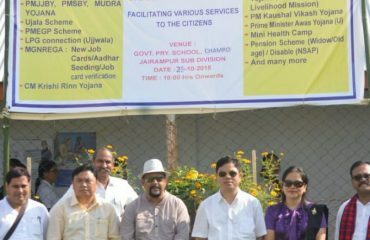 Administrative Officers ADC Changlang N Wangjen, Nobu Chader CO Kantang, Dr Rani Mibang CO Development, Dr Mary Taloh CO Election, NK Namchoom (ERO), DPO S Timba were also present on the occasion.